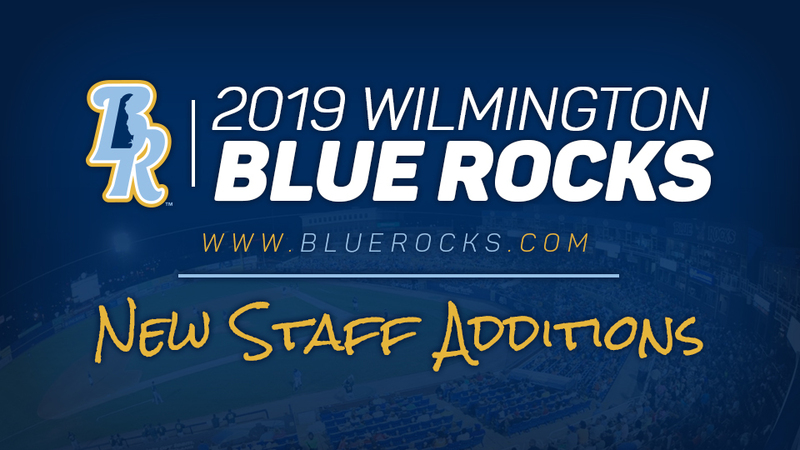 The Wilmington Blue Rocks announced the addition of three new members to their front office staff on Friday. Antoine Ray and Mike Rice will join the ticket department as Group Sales Executives, while Zach Chatman is the new Stadium Operations Manager. All three were seasonal staffers with the organization in 2018. "We are ecstatic to add these three individuals to our full-time staff," said Blue Rocks General Manager Andrew Layman. "Zach, Mike and Antoine all have an incredible work ethic and developed strong relationships with our fans. They are selfless individuals who always look out for the best interests of the organization, and most importantly, our fan base." Chatman joined the Blue Rocks in 2017 and spent the last two seasons as the Community Affairs Assistant. The 24-year-old hails from Pennsburg, Pennsylvania and graduated from Widener University with a degree in business marketing and a minor in sports management. He also played four years on the Pride football team where he won two Middle Atlantic Conference championships. Before joining the Blue Rocks, he worked at both the Philadelphia Eagles and Philadelphia Phillies as part of their game day staff. Rice was a Group Sales Assistant in 2018. He grew up in Heath, Ohio and graduated from Ohio University in 2016 with a B.S. in sports management and a minor in business. While at Ohio, he worked in game day operations with the Bobcats hockey team. Ray was a Box Office Assistant with Wilmington in 2018. Originally from Telford, Pennsylvania, Ray attended East Stroudsburg University where he was a three-year member of the football team and graduated with a master's degree in sports management and a minor in business. During his time as an undergraduate, Ray interned with the Temple University football program. The team also announced on Thursday that Cory Nidoh will replace long-time radio broadcaster Matt Janus as the team's lead play-by-play voice in 2019. Nidoh, who has served as the Blue Rocks Broadcasting & Media Relations Assistant since 2017, becomes the Blue Rocks Director of Broadcasting & Video. Nidoh is a graduate of East Stroudsburg University (PA) with a B.A. in Broadcast Journalism. He began his career in the New England College Baseball League as the radio announcer for the Sanford Mainers in 2015. He then spent his first season in professional baseball broadcasting for the Daytona Tortugas in 2016. Nidoh arrived in Wilmington last year and spent the last two seasons broadcasting all home games and select road contests alongside Janus. On top of his work with the Rocks, Nidoh serves as the sideline reporter for University of Delaware football radio broadcasts on 94.7 WDSD and provides play-by-play for select University of Delaware men's and women's basketball games on Fox Sports 1290. Janus, who just celebrated the birth of his first daughter in August, will remain with the organization as the team's Director of Media Relations. The two-time Delaware Sportscaster of the Year first joined the Blue Rocks as a 15-year-old game day employee and has been on the club's radio crew for the last decade. He has broadcast more Blue Rocks games than anyone in the franchise's 26-year history. Every Blue Rocks game can be heard on the team's radio home, 89.7 WGLS-FM or online at BlueRocks.com. Season seats for the 2019 season will be available on October 18, while mini plans go on sale November 1 and groups packages are purchasable starting November 8.